Hikvision's ZLine TVi Series exclusive to CCTVDEPOT night images captured! 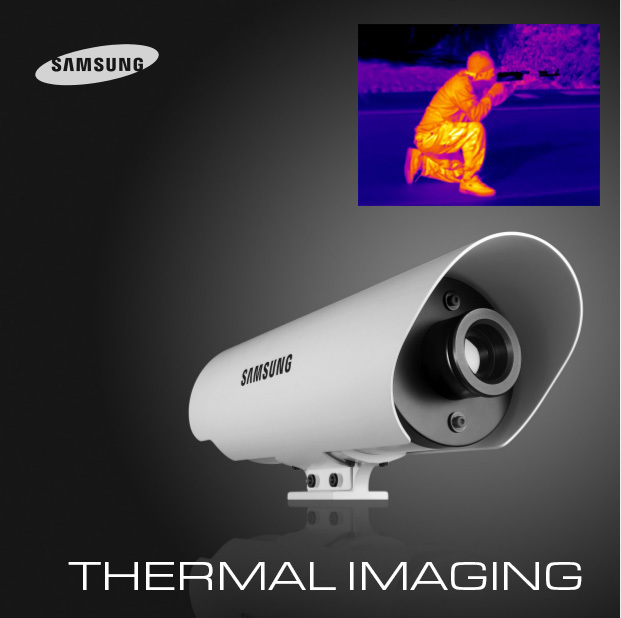 The Samsung SCB-9051 High Performance Thermal Night Vision Camera with 0.08°C temperature resolving power measures the surface temperatures of the field-of-view and displays the resultant data through temperature distribution images (thermal images). Equipped with IR imaging technology, the night vision camera works under 0 lux illumination and allows you to detect objects, people, and incidents even in complete darkness. The thermal camera has a detection range up to 1000m. With an uncooled microbolometer image sensor, the thermal camera displays bright and intense color images, created digitally to help distinguish details in the scene. Offering 8-14 µm long wavelength sensitivity, the IR camera delivers 320 x 240 pixel resolution thermal images with minimum impact from sunlight as well as during outdoor daytime monitoring in clear weather. The camera features a 50mm fixed focal length lens with maximum aperture of f/1.4, and offers 2x to 4x digital zoom. Featuring Digital Noise Reduction (3D-DNR), the night vision camera delivers clear images by removing signals that could result in video noise (grainy images). The thermal camera has IP66 rating that makes the thermal camera dust/waterproof and suitable for 24/7 surveillance.